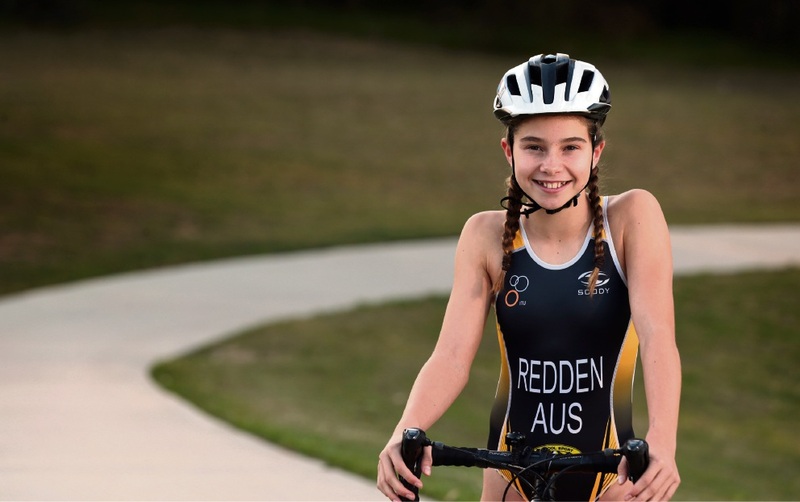 WHETHER on land or in the water, Maisy Redden has proven an elite and versatile endurance athlete. Not only is the 12-year-old Edgewater resident a State champion iron woman, she is also among the best triathletes for her age in the country. And she’s tough too; Maisy once ripped her toenail off during a triathlon but powered through to finish third before heading to first aid for treatment. Her triathlon success is particularly impressive given she took up the sport just a year ago. The Duncraig Senior High School student earned selection in the WA team for the Australian All Schools Championships, placing fourth over distances she had never raced before as one of the youngest in the field. “It was the first time I had competed at national level… I was so happy to place fourth amongst the great girls of my age group,” she said. And her newfound dedication to triathlon, in which the swimming leg is her strength, has not taken away from her commitment to surf lifesaving. The biggest achievement of her six years with Mullaloo Surf Life Saving Club came earlier this year when she won an iron woman gold medal at the state titles. She described the moment as “extra special”, given she had set herself the gold target after taking bronze last year. “This medal was my proudest because of the endurance and fitness… the course tested us all,” she said. The effort led to her claiming the accolade of overall surf lifesaving champion in the state under-13s. Maisy’s success does not come easily. On some days, the youngster is awake at 5am for swimming training before school and commits to running and cycling practice in the afternoon. But she understands they are necessary sacrifices if she wants to achieve her dreams of winning a national iron woman championship and representing Australia in Olympic triathlon.